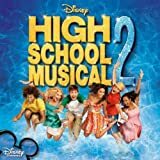 Gotta go my own way – Paroles de la chanson dans “High School Musical 2”. Paroles : Andy Dodd et Adam Watts. Gotta go my own way. Interprétée par Zac Efron et Vanessa Hudgens. I gotta say what’s on my mind. Something about us doesn’t seem right these days. Whenever we try, somehow the plan. It’s so hard to say. But I’ve gotta do what’s best for me. I’ve got to move on and be who I am. I just don’t belong here. We might find our place in this world someday. But at least for now. Don’t wanna leave it all behind. But I get my hopes up. And I watch them fall every time. Another color turns to grey. And it’s just too hard to watch it all. I’m leaving today cause I gotta do what’s best for me. What about everything we’ve been through ? And what about me ? So I’ve got to move on and be who I am. Why do you have to go ?